Guernsey FC have had their Combined Counties League Premier Division clash at Raines Park Vale called off because of a waterlogged pitch. 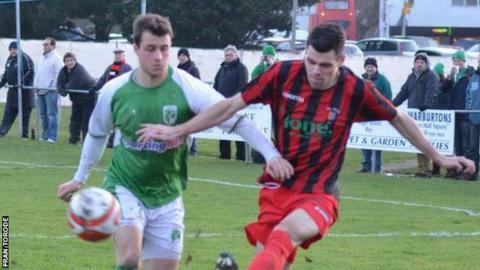 It is the 11th game Guernsey have missed since December as poor weather continues to disrupt their fixtures. The Green Lions could be forced to play as many as 25 games in March and April as they catch up. They are sixth in the Combined Counties Premier Division, 14 points off leaders Epsom and Ewell with nine games in hand.